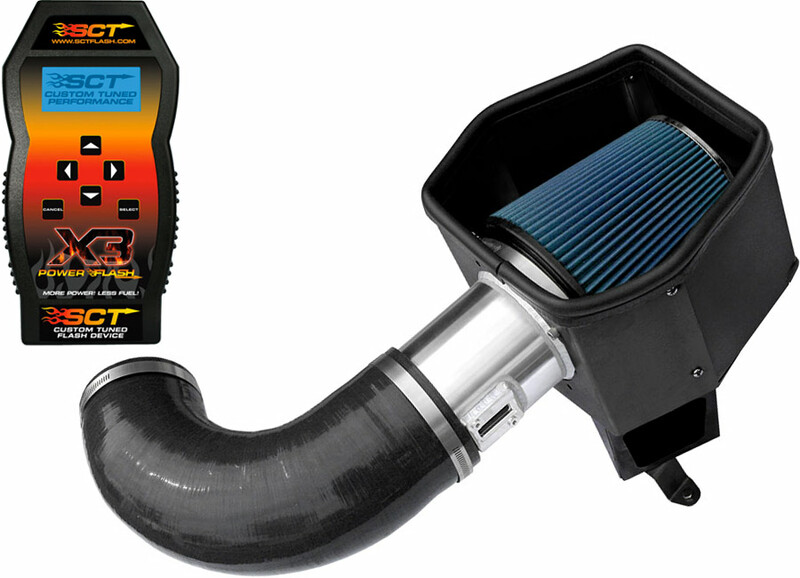 The LSR Performance Cold Air Intake and SCT Tuner combo kit is a proven combination for maximum performance and driving enjoyment! 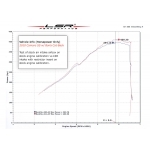 Our cold air intake and tuner combo has seen independently verified dyno proven point to point gains of up to 42 horsepower and 48ft/lbs or torque to the rear wheels! 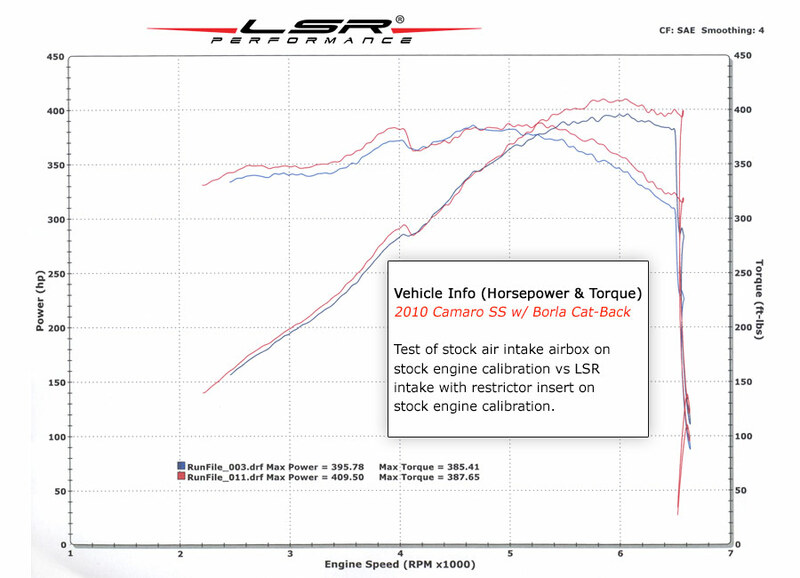 Peak gains showed remarkable increases of up to 36hp and 39 ft/lbs of torque at the wheels. 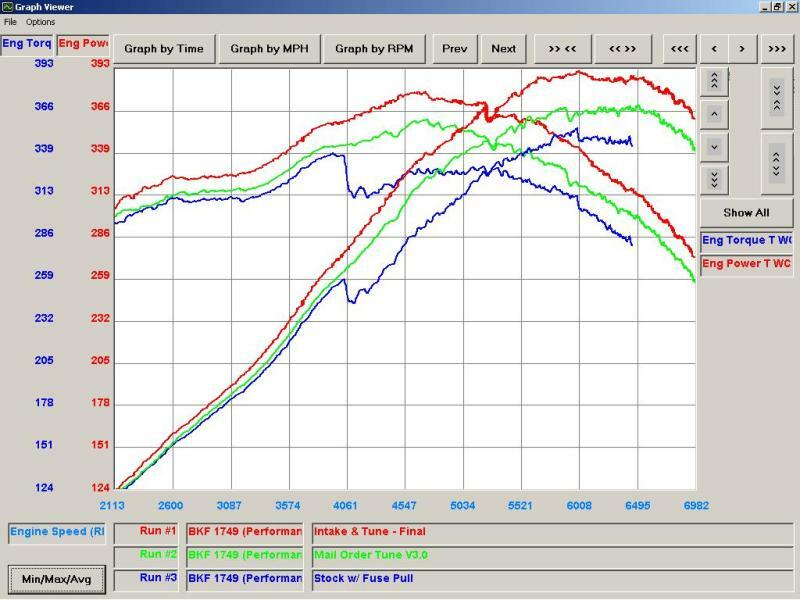 Our in house design and engineering staff went the extra mile with our cold air system not only optimizing airflow but making sure the coolest are charge temperatures are mainstained. 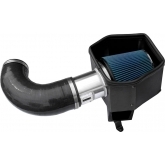 Our airbox is designed to seal against the hood as well as draw air from the factory lower ram air duct which directs cool air right into the sealed airbox. 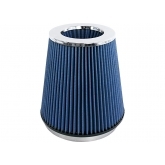 A high flow “million plus mile” air filter is used for longevity and minimal restriction. 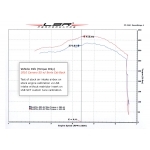 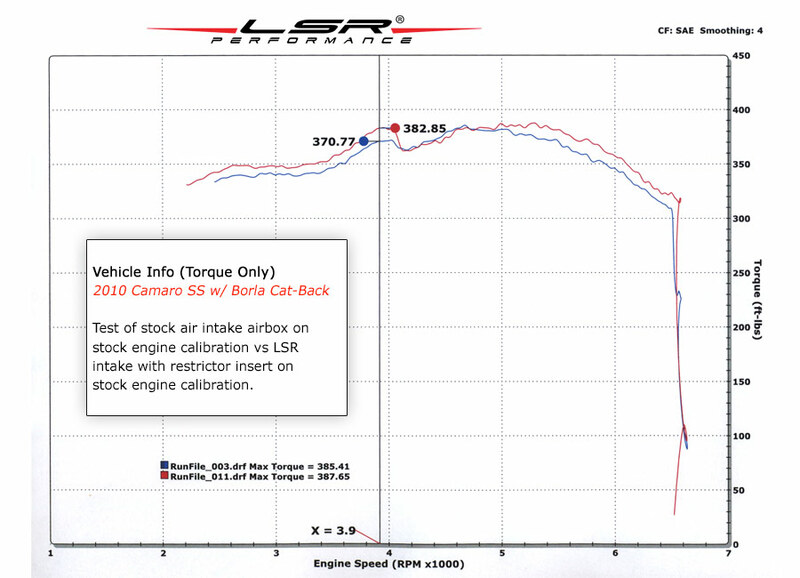 Like all LSR Performance parts, this Cold Air Kit features a life time warranty and is made in the USA. 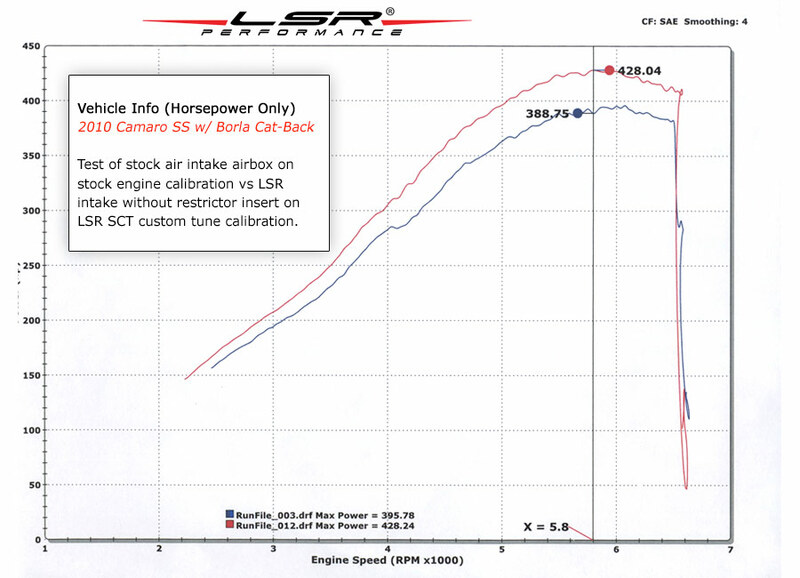 Our intake system incorporates a billet velocity stack to increase velocity and straighten out the incoming air charge for turbulence free airflow and our large mass air flow sensor housing is made in house from billet 6061 aluminum. 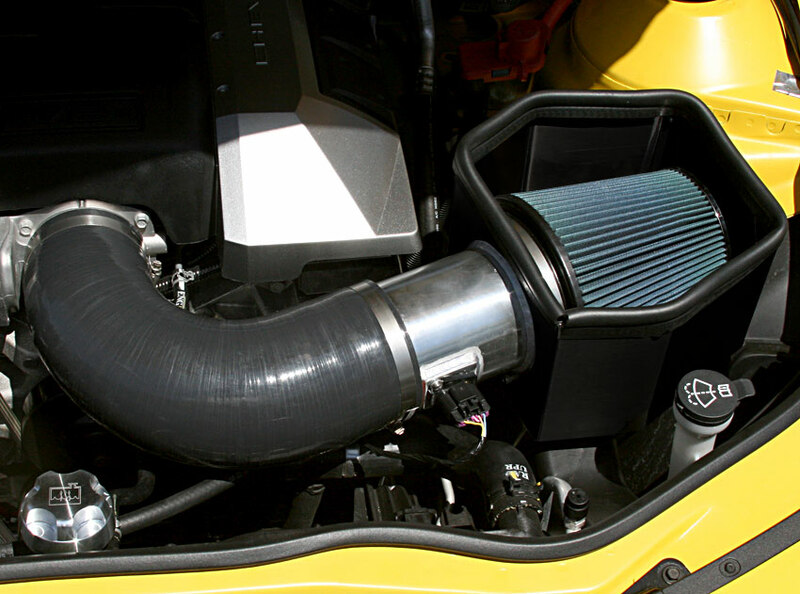 Our intake is not only functional but looks awesome as well! 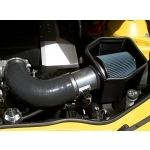 This intake system will also benefit those with Magnuson superchagers. 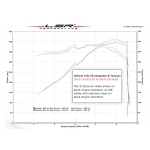 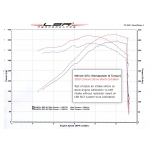 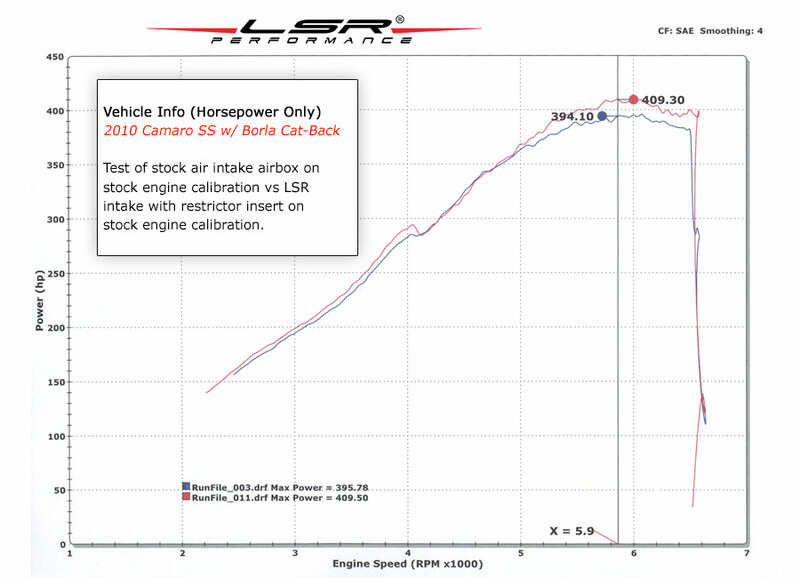 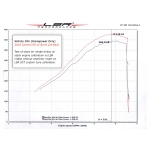 Our intake system flows so much air that replacing the Magnuson airbox with our LSR system results in a 3 psi increase in boost without changing the pulley! 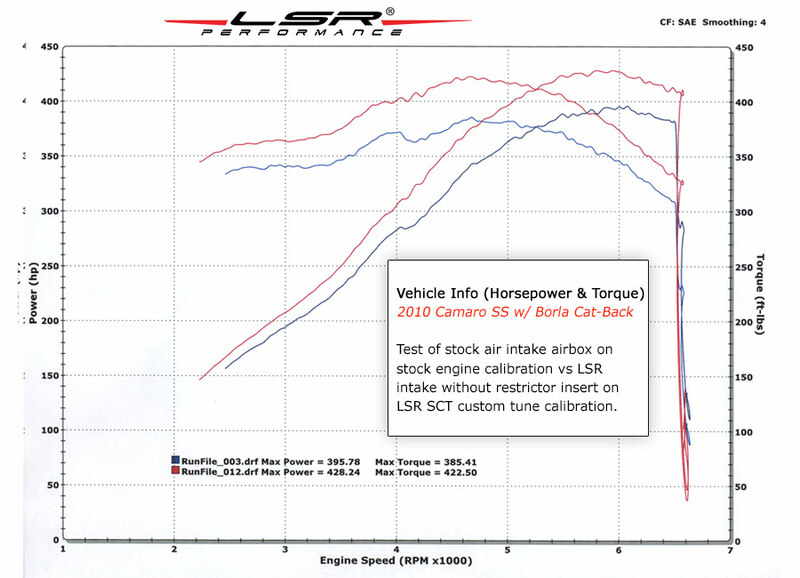 Note: requires separate custom tuning when used in Magnuson application. 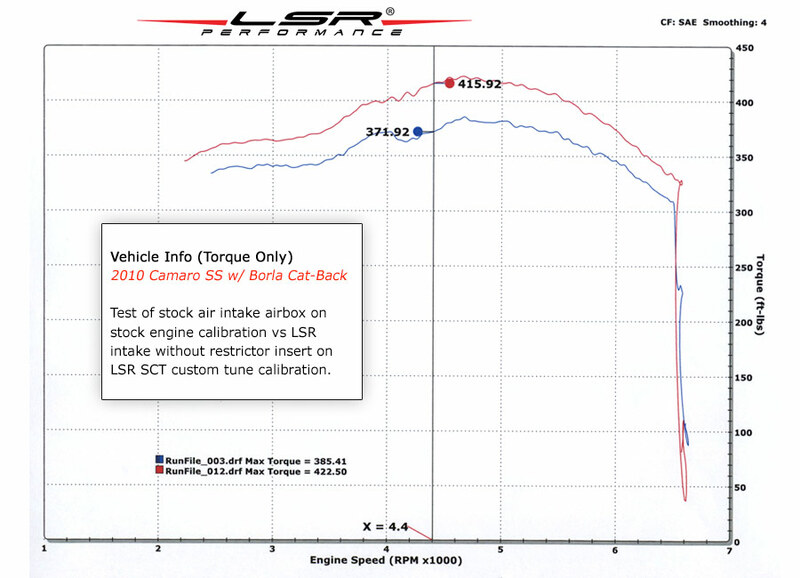 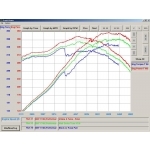 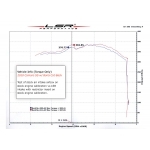 Most HP and Torque gains of ANY other CAI on the market today!